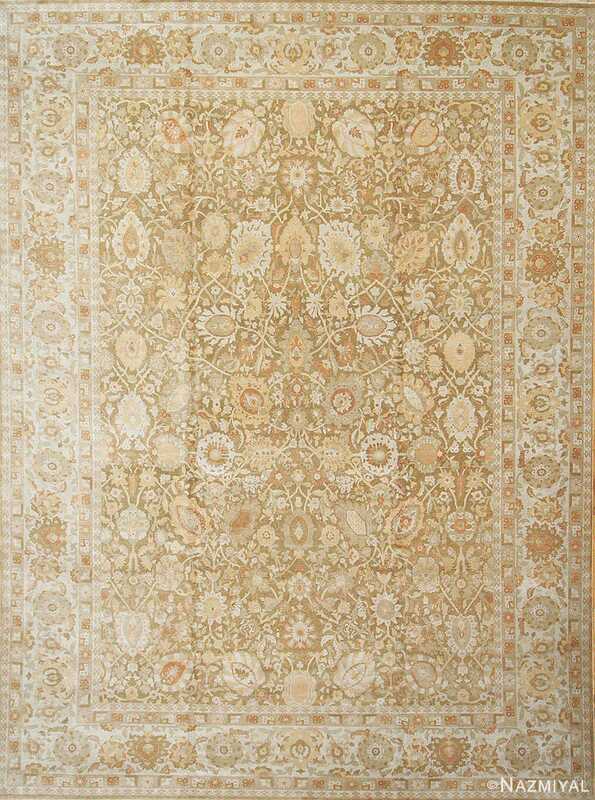 Magnificent and Extremely Decorative Large Persian Tabriz Design Modern Egyptian Rug, Country of Origin / Rug Type: Egyptian Rug, Circa Date: Early 21st Century – This beautiful and soft modern rug features a large scale all over design that is simply magnificent. 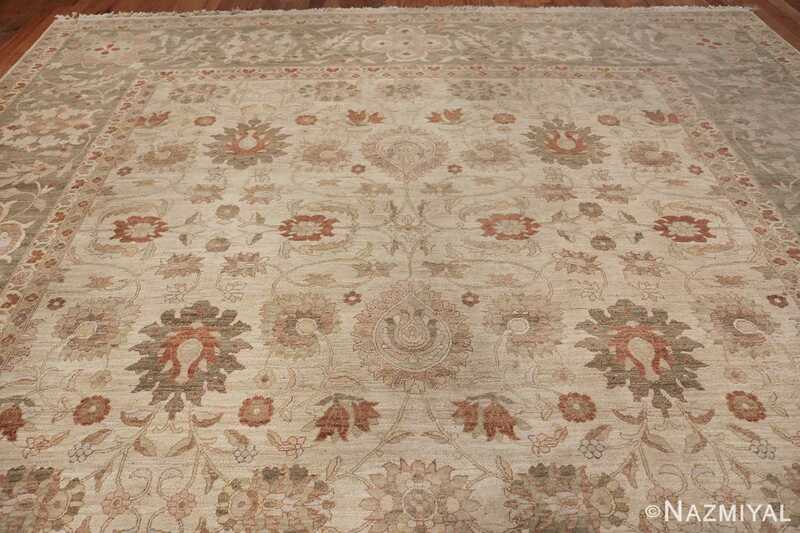 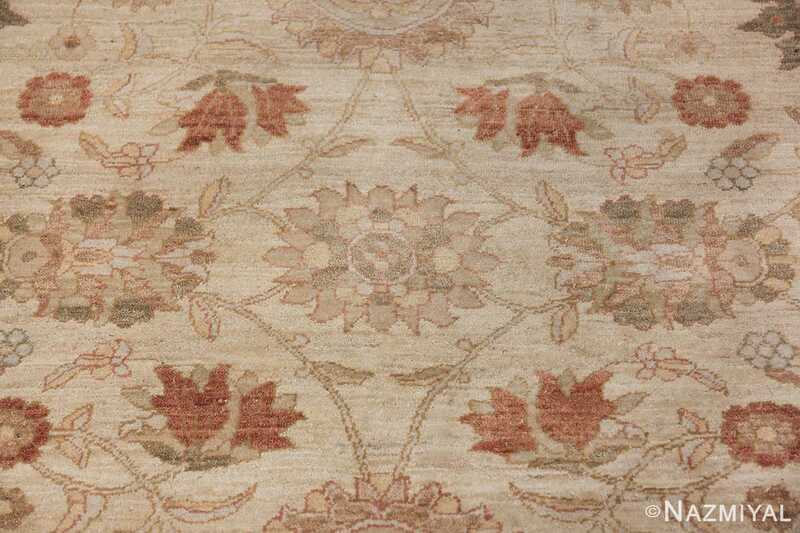 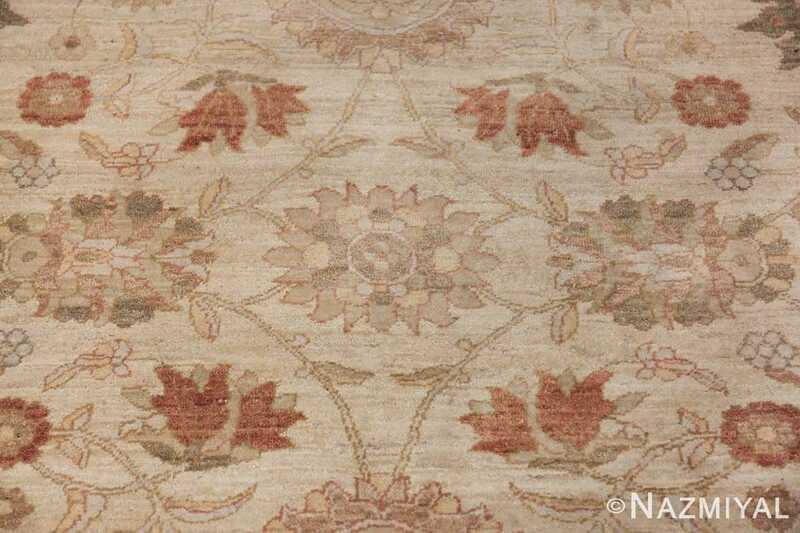 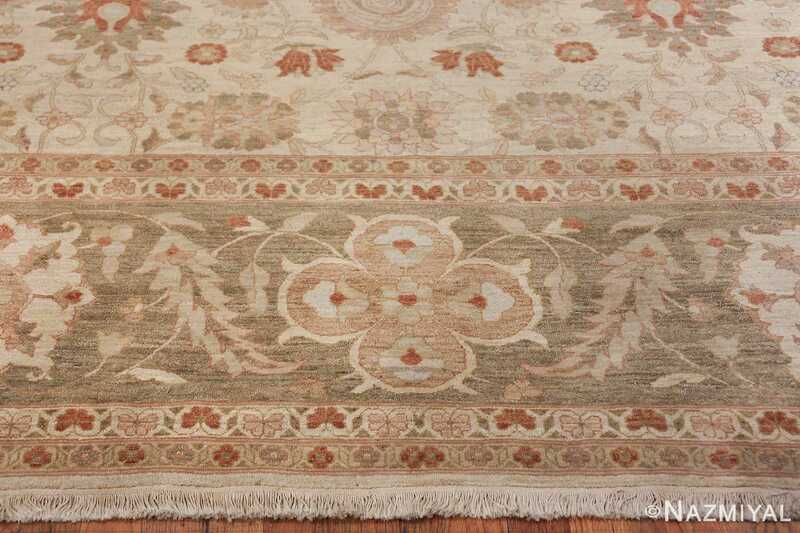 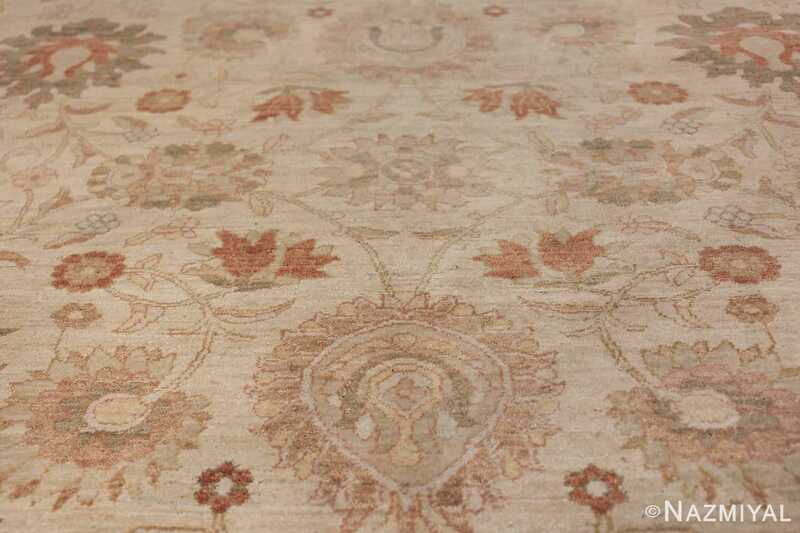 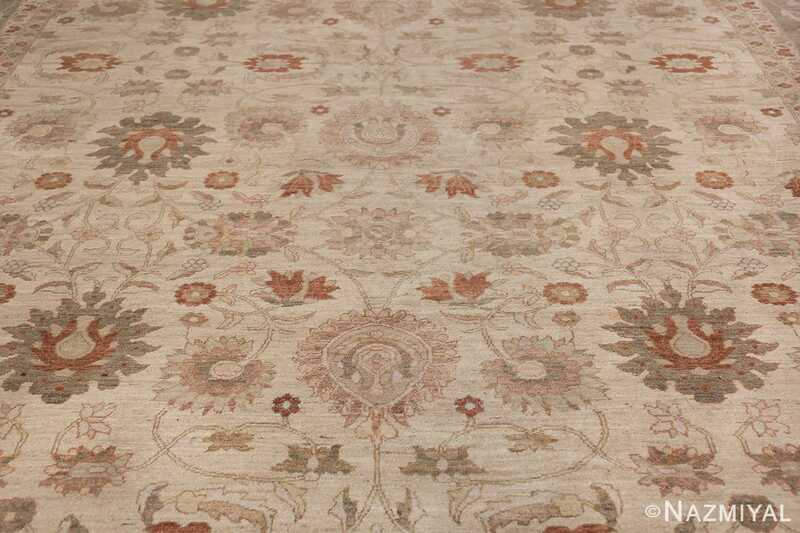 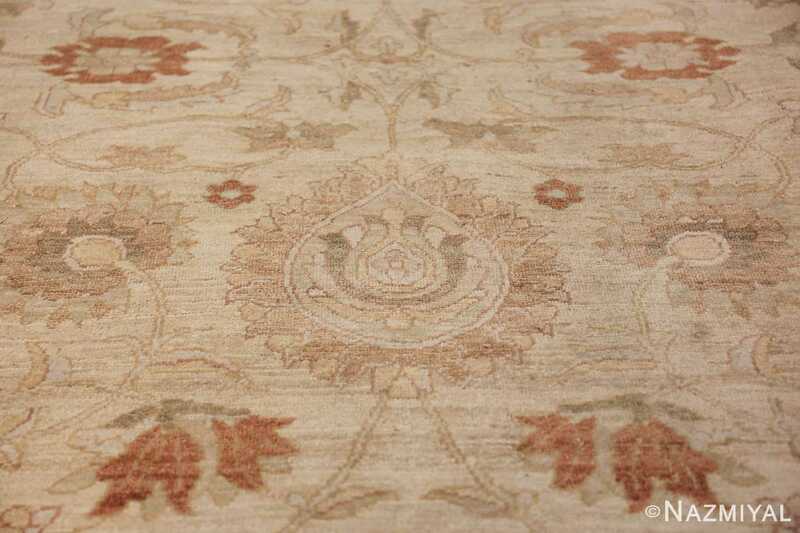 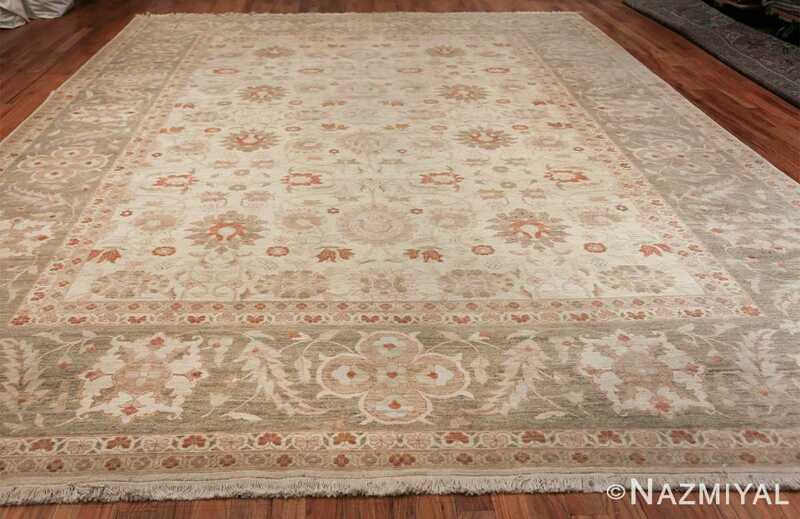 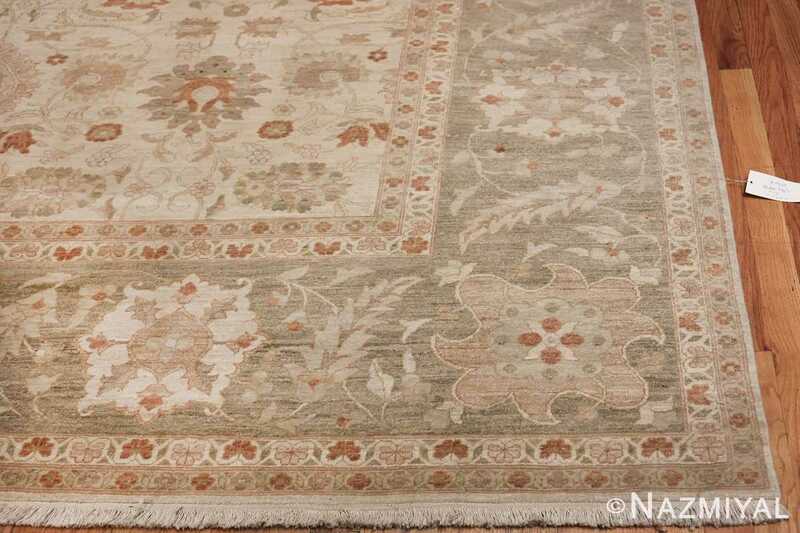 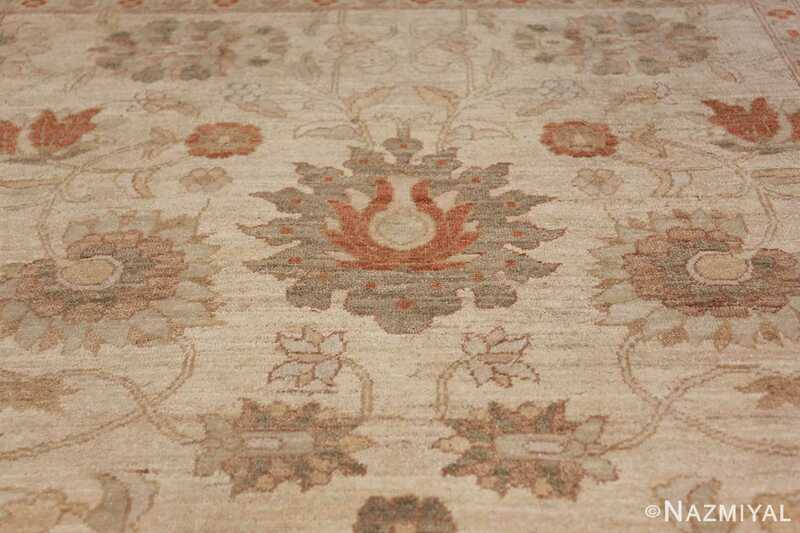 When combined with the soft and earthy coloration, this Egyptian rug is will surly bestow a sense of calm and warmth. wherever it is placed. 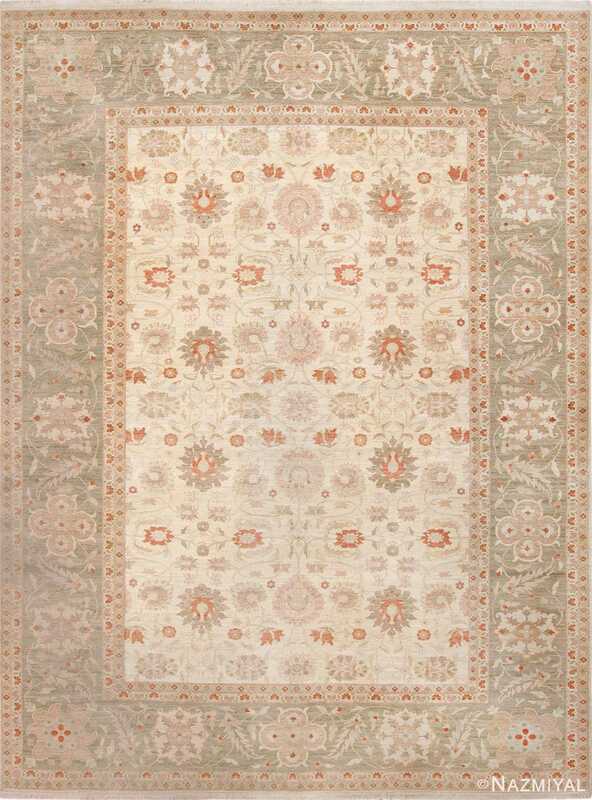 The main and wide soft green colored border is flanked on both sides by two narrow guard borders. 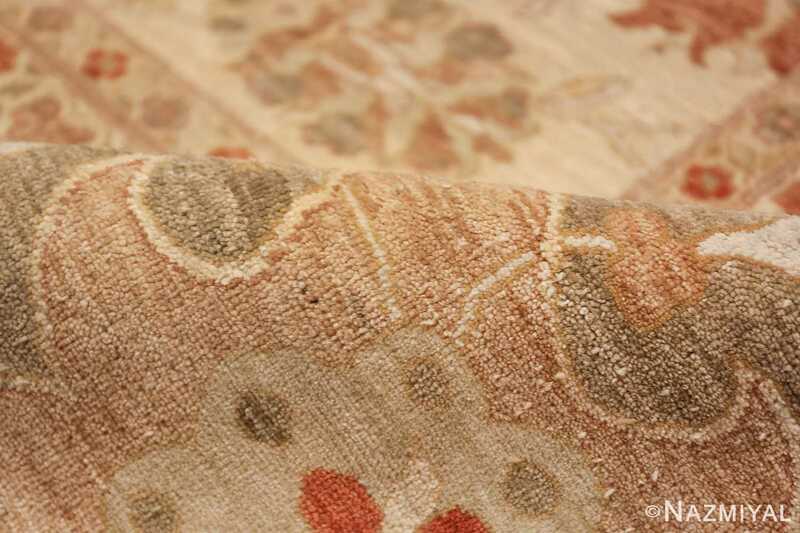 When one steps away and looks at piece from a distance, they will notice that the rust colored flowers in one of the guard borders look like hearts. 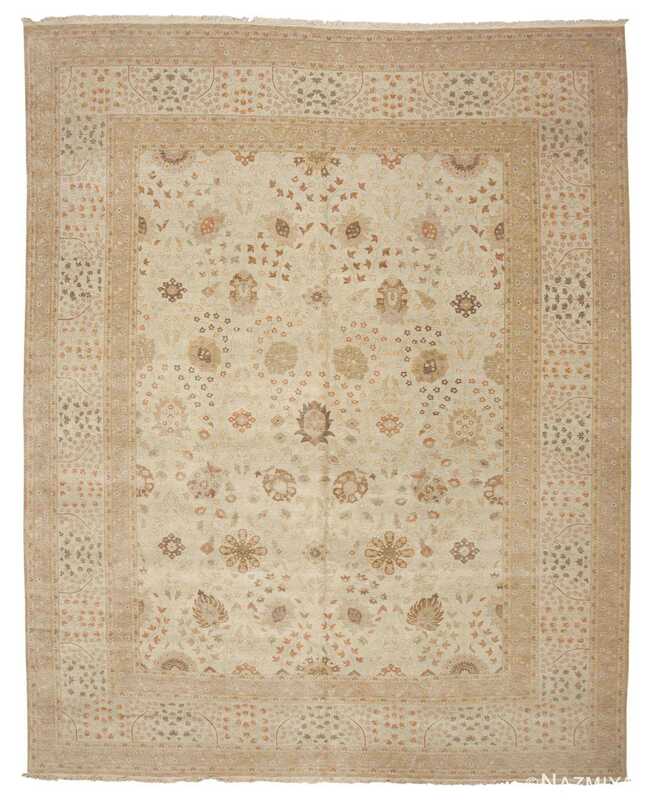 These unique almost heart like shapes juxtapose beautifully against the large rug’s more neutral coloration. While the rug design is very much in line with some of the best antique Persian rugs, the colors used are anything but. Most of the older Oriental rugs from Persia boast richer jewel tone colors but in this piece we see a completely different approach to colors. It is obvious that the artist who designed this modern Egyptian Rug, wanted to align the old world design with the current interior decorating demands for softer more decorative coloration. This Persian Tabriz design contemporary modern Egyptian rug is one of the more beautiful examples from the modern rug world. So much time and attention went into every aspect when this piece was being created. 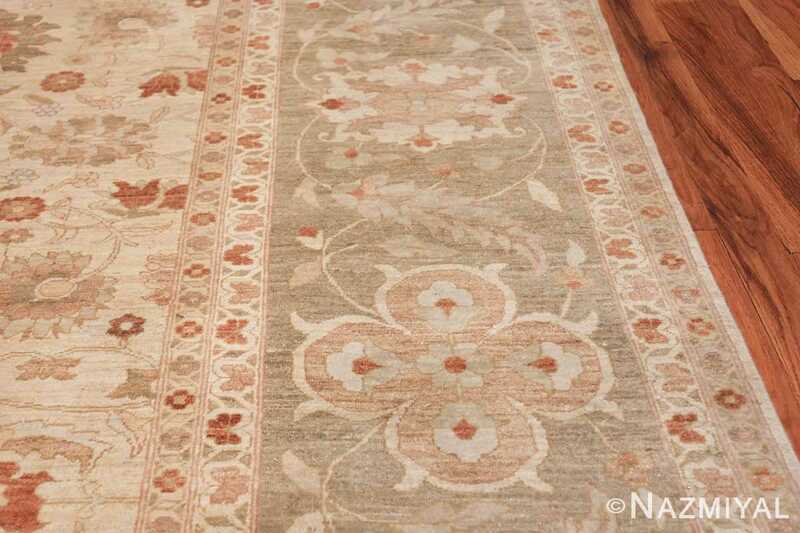 From the colors, to the weave, to the design and size – a lot of time went into producing this piece and the results speak for themselves. The soft and calm coloration, combined with the large scale all over design, make this rug extremely easy to live with and decorate around. 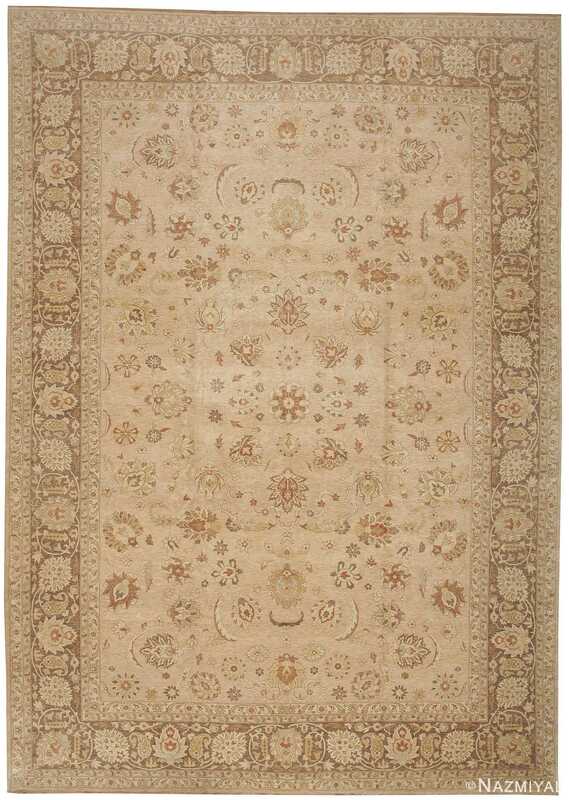 From minimalist interiors to more classic and even boho chic, could easily be incorporated in almost any type of decor.